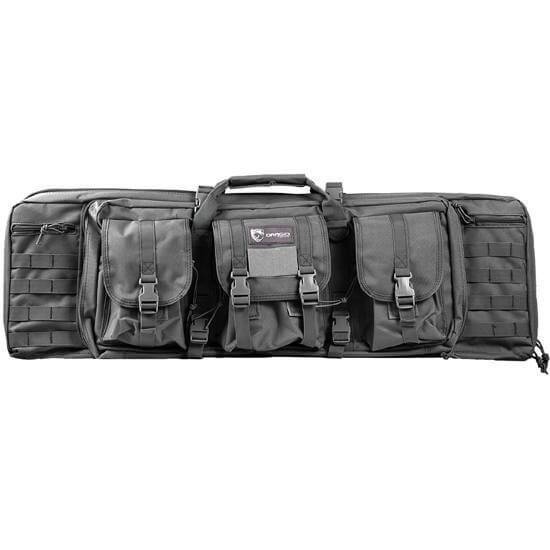 Designed to optimally secure and protect long guns, and come equipped with multiple storage areas to efficiently organize ammunition and accessories. 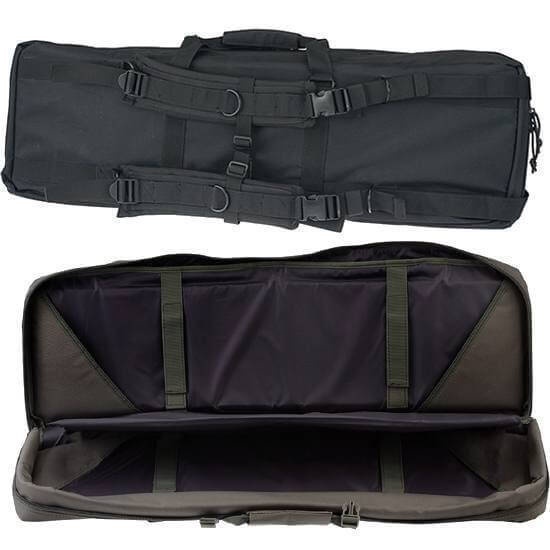 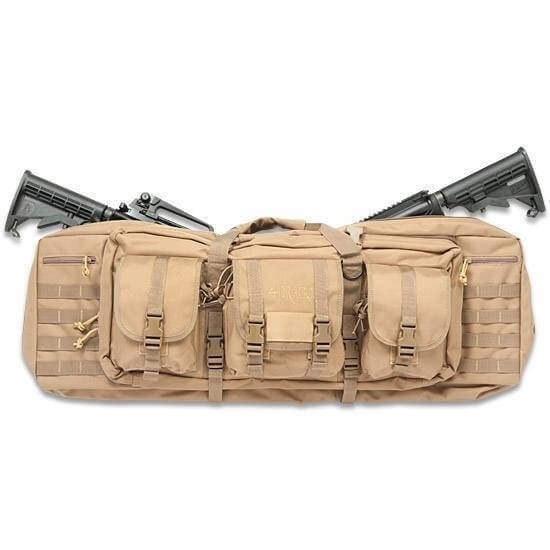 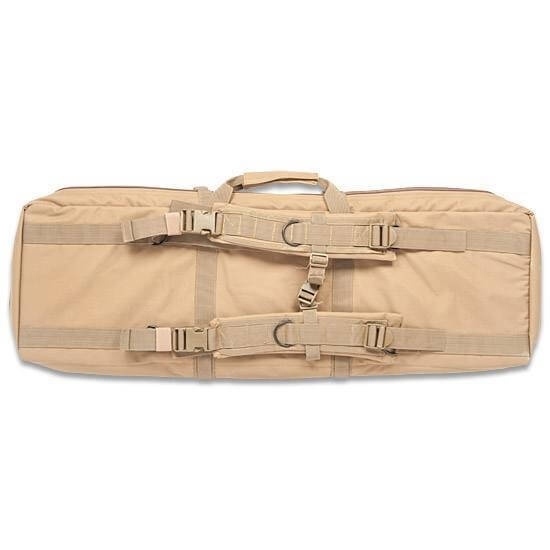 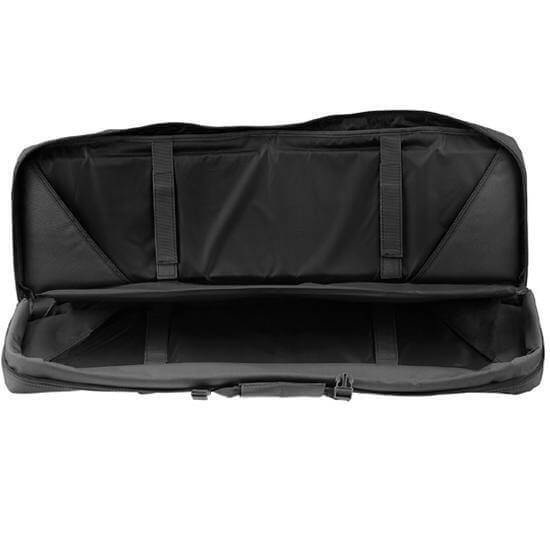 The rifle case comes with a padded divider to separate the rifles, and the entire case is fully padded to protect your rifles. 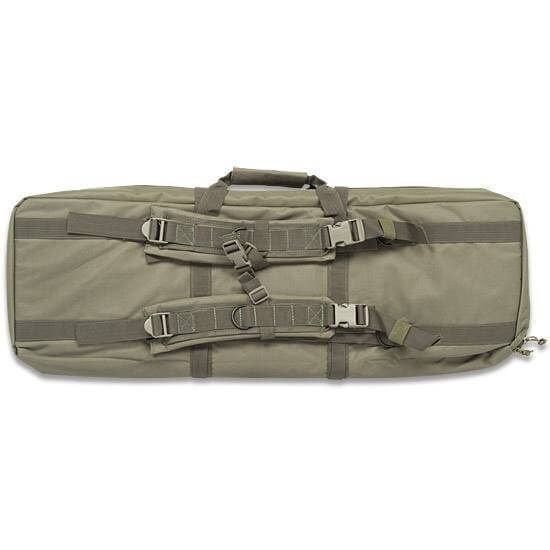 Constructed of 600D polyester, heavy duty zippers, double stitched handles, and PALS webbing through out. 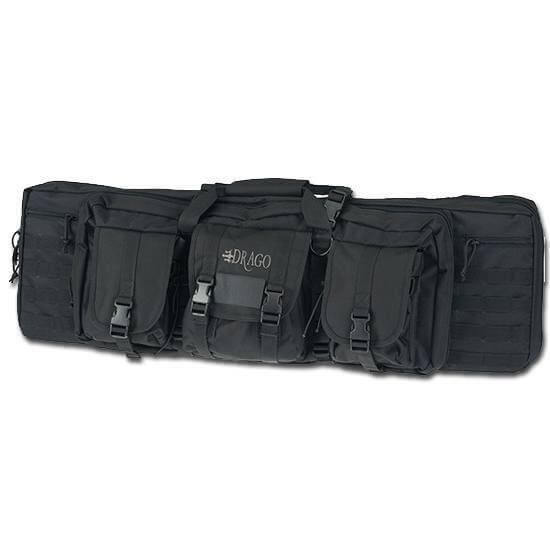 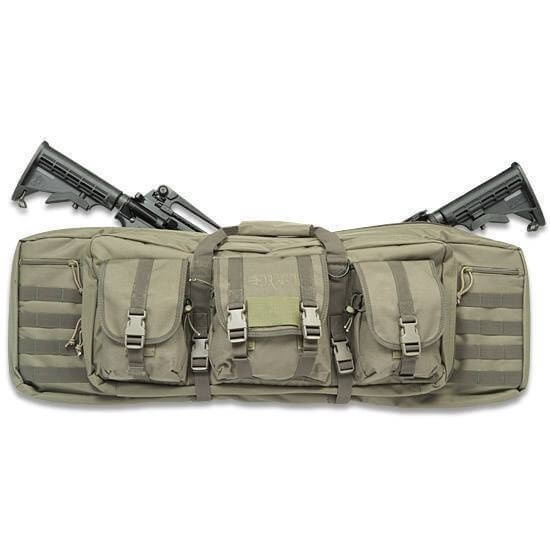 Features adjustable, padded backpack straps, dual zippered main compartment, three large accessory pouches, quick release buckles, and reinforced corners.